We set up this blog so our family and friends may check in on our home remodel updates. We have several stages and years of making our house the way we envision so keep checking in with us! We will also be adding different home ideas, other decorating blogs, plus any other objects or photos that inspire us. 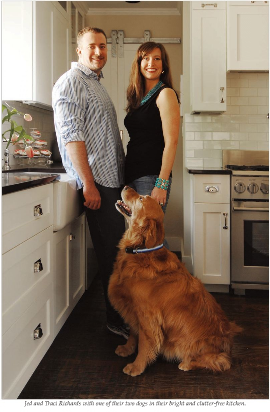 Photo via 360 West magazine in our new kitchen with Knox.